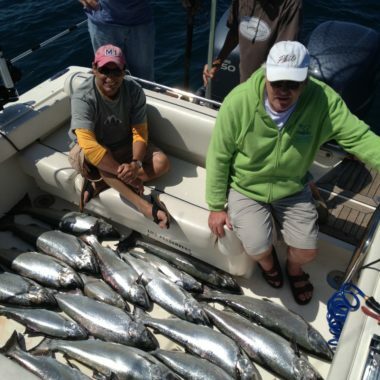 We specialize in both private and corporate sport fishing charters for King salmon, Steelhead, Brown Trout, Lake Trout and Walleye. 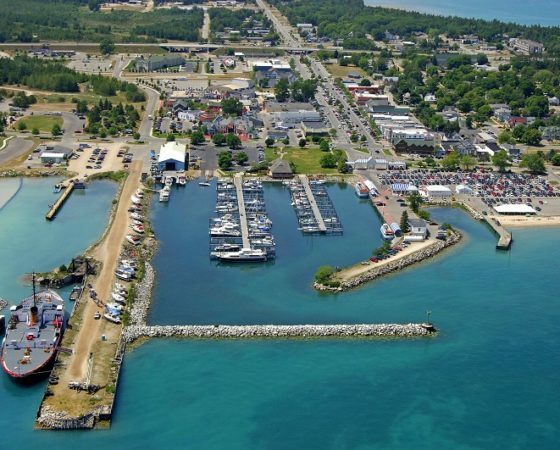 We have a large 35 foot Pursuit, powered by twin Yamaha 300’s, with all the latest in electronics and high end fishing gear, serving out of Petoskey, Charlevoix and Mackinaw City Michigan. 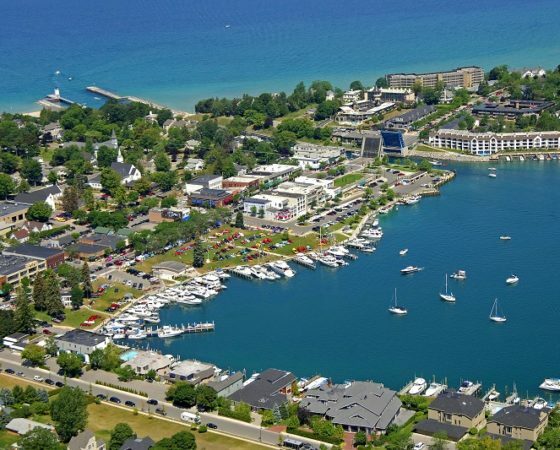 We make it our mission to make sure your time on the water is both comfortable and successful. Captain Patrick Rupp is a full time professional fisherman with over 30 years experience. 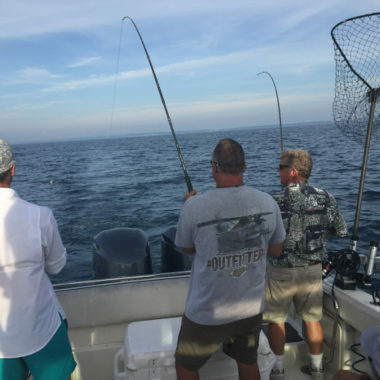 We can accommodate up to 6 passengers at a time, and have all the equipment and tackle you need. We also process and bag your catch – so bring your cooler! Half-Day, Full-Day, Mid-Day or by the Hour, Captain Patrick can accommodate up to 6 passengers at a time, reeling in the catch of the day, or just to enjoy a personalized sunset cruise. We will catch a variety of fish – mostly King Salmon, Lake Trout, Steelhead, and Brown Trout, but there are other freshwater species that might jump on your hook. 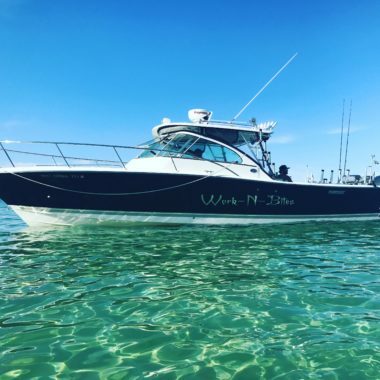 Powered by twin 300hp Yamaha engines, our charter boat is fast, well maintained and comfortable (including our restroom). Stocked with the latest in electronics and top of the line fishing equipment and safety gear, DNR inspected and approved. 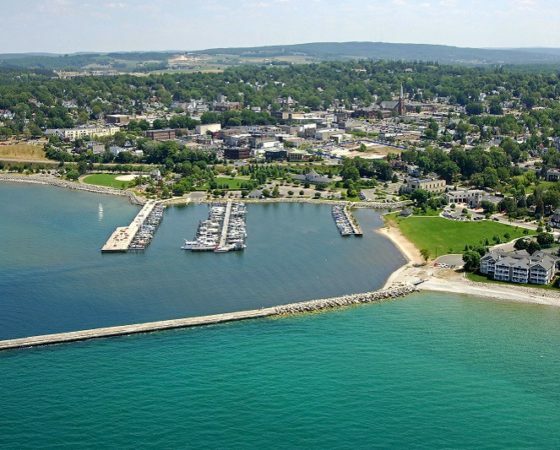 You can pick your personal playground for the day, with a choice of Lake Michigan, Lake Huron, Lake Charlevoix, or Little Traverse Bay. 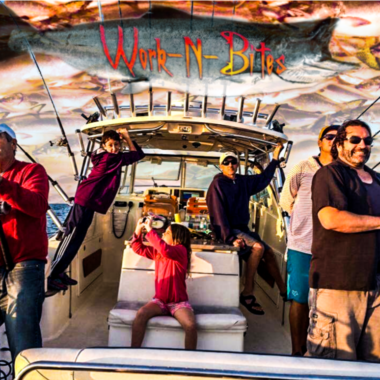 Whether your looking for a full day group charter, mid-day specialty cruise, a evening sunset excursion, or a family get together on the water, we have three marina locations to serve you.